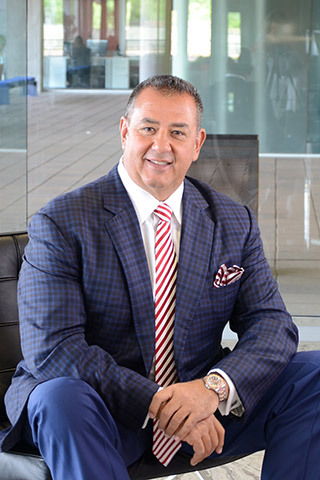 Diversified Partners CRE | Walt Brown Jr.
16 Apr Walt Brown Jr.
Walt Brown, Jr., is the Founder, CEO and Designated Broker of Diversified Partners, LLC, a real estate brokerage and development company based in Scottsdale, Arizona. Walt began his career in commercial real estate in California in 1990 where he focused on learning and understanding the real estate business while creating valuable relationships through his positions with Terranomics Retail Services (San Francisco & Newport Beach) and then Mahler & Company (Beverly Hills). In 1992, Walt moved from California to Arizona and further expanded his real estate knowledge and contact base as a commercial agent at Core-Jackson, Oncor International (Phoenix). In 1996, he founded Diversified Partners as a full service commercial real estate brokerage company. Over the years, Walt’s passion, executive oversight and “big picture” mentality have contributed to Diversified Partners evolving into one of the leading Development and Brokerage firms in Arizona. Walt’s significant experience in all aspects of the commercial real estate industry for the last nineteen years has led to a wide range of successes. Together with past and present partners, he has leased, sold, and/or developed more than 5,000 commercial properties and more than 12 million square feet of retail properties located throughout the country. From this he has established quality and long lasting relationships with national credit tenants such as LA Fitness, WalMart, and Home Depot, multiple banks and financial institutions, public/private REIT’s, and numerous major brokerage firms across the United States. The respect Walt has gained from his peers is the reason why Diversified Partners has been hand-picked to represent the national expansion, relocation and/or liquidation of non-productive assets for numerous nationwide entities. His business ethics and personable demeanor have propelled him in the commercial real estate field to an extraordinary level of respect and success. In addition to his successful professional career, Walt is the devoted father of two sons, Wally III and Cooper James. Family is his number one priority and he makes sure to set aside time for his sons, as well as his brothers and sisters. These strong family values are embedded in all facets of Diversified’s business. Walt has an unmatched passion for dedicating time and contributing monetarily to a variety of charitable organizations, including Home Base Youth, Fresh Start, Labors Community, and Phoenix Children’s Hospital. In 2008, City of Hope honored Walt with the Spirit of Life Award for his ongoing dedication and commitment helping City of Hope advance scientifically and improve treatments for people everywhere who face a life-threatening disease. Walt was a collegiate football athlete while at the University of New Mexico and graduated with a Bachelor’s of Science degree in 1985.